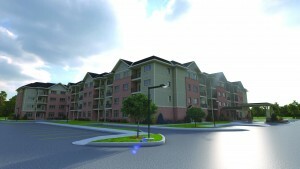 The Globally Awarded – Wellings Lifestyle Community is now open in Corunna! Wellings of Corunna is a new concept in 55 plus living, perfectly suited to adults who want to pursue a vibrant, maintenance free lifestyle with amenities and services that will add to the convenience and comforts of their everyday life. This four-storey, 132-unit rental community features the Global Award-winning Wellings signature atrium. “It is a unique concept that our residents love. They often remark, It feels like I’m at a resort!“ says Suzanne O’Leary, General Manager. 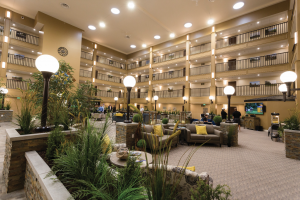 It is owned by Canadian Nautical Lands Group, a company with a 25-year track record of developing and building award-winning senior living solutions. 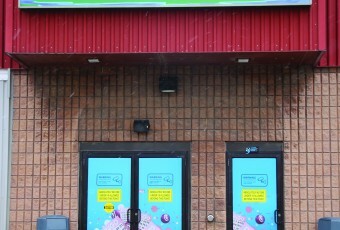 The reason for the company’s winning ways is visible the moment you enter the building. The bright, 8000 square foot, four-storey atrium will leave you breathless. 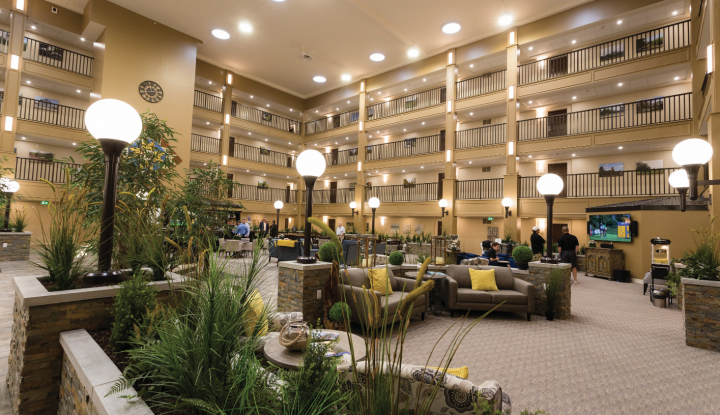 “When people see the atrium, they can’t believe it; it’s just magnificent and unexpected,” says Natalie Tommy, Nautical Lands Group VP of Marketing. The atrium is a welcoming space where you can meet friends, saddle up to the bar and enjoy a cold drink, invite friends for dinner, or have a game of pool or shuffle board. The huge sky lights create a special atmosphere depending on the day, and often family and friends just linger to enjoy the day. Throughout the community, there is attention to detail that adds to the inviting atmosphere, such as the stunning work of local photographer, Glenn Ogilvie. “Glenn’s beautiful photographs show a unique perspective of the hidden gems of Corunna and surrounding Lambton County; we have over 180 prints here,” says Ms. Tommy. 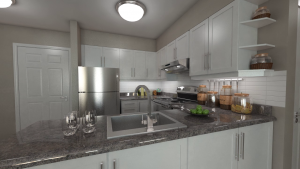 All apartments include premium features such as a full-sized kitchen with stainless-steel appliances, walk-in showers, in-suite laundry, exterior balconies, and plenty of room to move. Residents dine in the Atrium restaurant each evening, where they enjoy restaurant-caliber dinners freshly prepared in the Wellings kitchens. Breaking bread encourages the community to come together as a family; it’s what separates us from seniors’ apartments. Our residents want the freedom to eat when they want, get up when they want, and have a lifestyle they design. 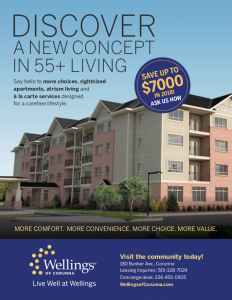 That is just what this new concept in 55+ living at Wellings delivers. 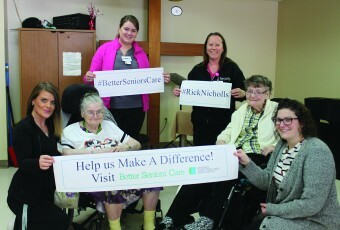 Wellings uses an “a la carte model” where residents choose and pay for only for the services they want to use. Health care is provided by the VON who has an office on the premises. Residents can connect directly when they need any type of health care; it’s convenient and affordable. This equates to peace of mind as we age and you don’t pay for services you don’t need. Wellings of Corunna is a pet-friendly community, with a large fenced dog park and a fully landscaped outdoor courtyard, barbecue area, and gardens. Parking is included, and there is limited covered parking available, if you prefer it, for an additional fee. The list of premium amenities, services, and conveniences goes on and on. All residents are encouraged to take part in the resident council, creating a community that is inclusive of the residents’ wants and needs. This is a unique concept for a 100% rental community, delivering the best of both worlds – pride in where you are living and control of your expenses in a maintenance-free environment. Apartment rentals in the lifestyle community start at $1995 per month with a $500 refundable deposit that secures your rightsized apartment to ensure a smooth transition.